Zombie games have, on the whole, mostly been about splattering the walking deceased in relatively gruesome manners. Sure there are some that focus on human relationships and feelings, and others on how important it is to steal can-openers from other people, but most of the time we’re charging at zombies like bulls at gates, desperate to reduce them to quivering piles of gore. For every zombie that fell in battle, this is for you: Dying Light’s Be The Zombie mode. Refuse to be a victim of the survivor’s baseball bat. Fight back! Kill some bloody humans and devour their grey matter like the delicacy it is. Be the Zombie is an asymmetric multiplayer mode, and takes its cues from the likes of Dark Souls and Watch Dogs. Playing as the Night Hunter mutant zombie, you’ll be able to invade the games of other online players and start causing grizzly havoc. 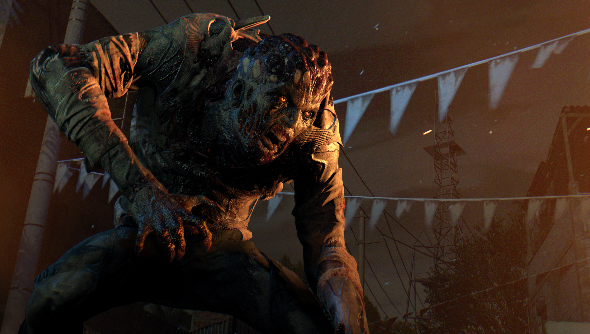 Tearing out chunks of flesh seem to be chief among the abilities of the Night Hunter, but Dying Light’s free-running elements seem to come naturally to this zombie chap, who can swing around the map like a rotting Spider-Man. The kicker is, of course, that Be The Zombie mode is a pre-order bonus. We’ll let you decide what condition your grey matter needs to be in to decide if that’s worth a pre-order or not. If you’d rather avoid buying before release, you can be safe in the knowledge that invasions will be part of the game whether you have this DLC or not. It just appears you’ll only ever be on the receiving end of the invasion without the pack. Dying Light release on PC on January 30th 2015.